This kind of coughing is more than just a nasty cold. If you experience violent coughing fits that don’t disappear within a few weeks, you should consult your doctor. Congestive heart failure can cause fluid buildup in the lungs, causing wheezing and coughing that doesn’t wane with time. A staggering 350 million people worldwide suffer from depression. There are ways to stave off depression, or at least help manage it, but no real cure has been determined. That being said, being depressed doesn’t doom you to heart disease. But possibly due to correlations involving other lifestyle factors, depression and heart conditions have been linked. Arrhythmia, an abnormal heart rhythm, can cause an odd and irregular flow of blood to the brain. Just like if you’d stood up too fast, this rush of blood to the head can cause disorienting dizziness that could even cause you to faint. There are dozens of health conditions that could affect a guy’s ability to perform in the bedroom. But since blood flow is crucial for things to work properly, an ineffective heart muscle could be the cause. In fact, erectile dysfunction is often the first noticeable sign of a heart problem, preceding the onset of other symptoms by approximately two years. If you’re concerned about your sexual health, you might want to read up on what bad habits could be lowering your sperm count. In the days leading up to a heart attack, patients often feel exhausted and weak, despite having had enough rest. The feeling is much different than the slight fatigue you might feel at the end of a long workday — it’s chronic and it’s severe. Nausea or a lack of appetite is a telltale sign that something’s wrong. One of these underlying health problems could be a heart condition. If the aversion to food persists, ask your doctor to evaluate what’s going on. 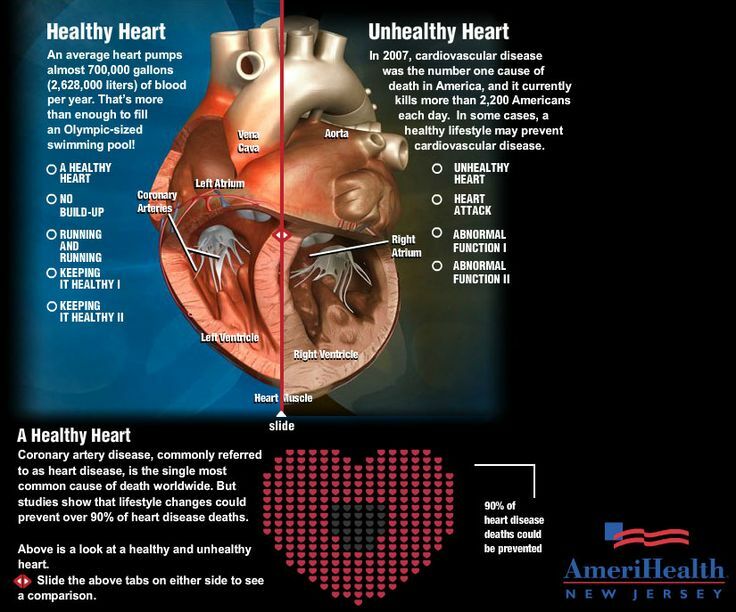 The sooner you catch the condition, the better chance you have of avoiding a heart attack. Hair needs a consistent source of nutrients from blood flow to grow. Without those nutrients, the body simply stops growing hair. Your leg hair is likely to go first, since it’s furthest from the heart. But your head could be next. Migraines are really quite common — and a mere headache is nothing to lose your head over. Twelve percent of the population experiences migraines, but a whopping 40 percent of patients with heart disease experience them. The research is still unclear as to why the correlation exists. Getting one too many Charlie horses? Don’t just attribute it to old age or weakness — excessive cramping could be a sign that something is really wrong. Muscle cramping has been shown to be a significant sign of peripheral arterial disease (PAD), a buildup of plaque in the legs’ arteries. PAD is treatable, so catching the symptoms early is important for your lasting health. 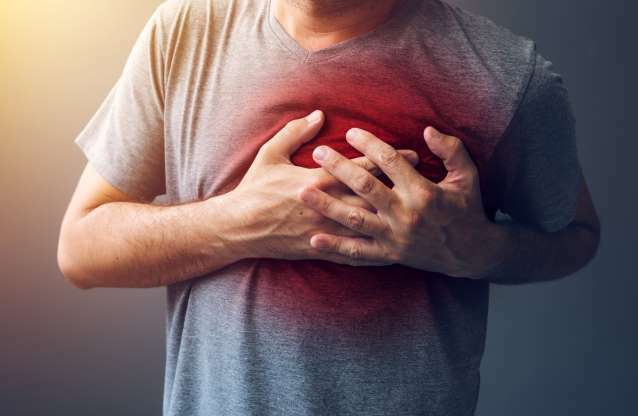 You might think that chest pain was the first sign of heart problems, but that’s not always true. Unexplained pain in the neck or jaw is a potential sign of angina, a heart problem that occurs when the organ lacks oxygen-rich blood. Women are more likely to exhibit these atypical symptoms than men; but if you experience constricting pain on more than one occasion, it’s time to consult your doctor. Ever get winded after walking up a few flights of stairs? If so, don’t panic — that’s totally normal. But if you’re gasping for air after standing up too fast, walking a few blocks, or doing other minimally exhausting activity, you might want to check with your doctor. Your body’s ability to exercise without getting winded relies on pumping blood. Sudden shortness of breath could be a sign that something’s wrong. Sleep apnea is a condition that causes patients to wake up in the middle of the night, gasping for air. These breathing irregularities have been linked to a higher risk of heart attacks and heart arrhythmia. When people with sleep apnea experience an interruption in natural breathing, their bodies detect a lack of oxygen and force blood vessels to quickly tighten, causing a knee-jerk gasp for air. The stress on blood vessels could cause problems over time. We’re not talking about a slight swelling you experience if it’s hot outside or you got hurt. The kind of swelling that signals heart failure is extreme and often results in visible lines from where shoes and socks have dug into the skin. The swelling is caused by a buildup of blood in your veins when they aren’t flowing properly. If you suddenly sprint to catch a bus or are in a humid room, sweating is nothing to sweat over. But odd, unexplained bouts of extreme perspiration are a really bad sign. Say you’re sitting in your chair and suddenly become drenched — the sweating could be an early sign of an incoming heart attack. Call 911 or head to your nearest hospital right away. If you’ve experienced a heart attack recently, keep an eye out for signs that another might be on its way. And in the meantime, experts recommend you avoid these foods if you’ve recently experienced heart failure.